Andain is a San Francisco-based electronica duo. Their style incorporates a blend of acoustic elements and electronic sound design, integrating tender and dark with emotive lyrics. 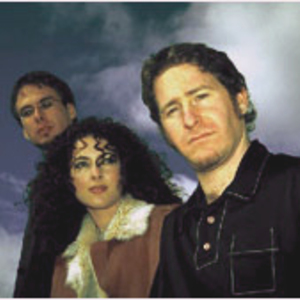 Band members initially included producer Josh Gabriel, singer and songwriter Mavie Marcos, and guitarist David Penner. Current members are Mavie and Josh. Andain was founded during the spring of 2001, as Josh joined forces with David and Mavie. Andain was founded during the spring of 2001, as Josh joined forces with David and Mavie. The band made its first leap in 2002 with the song Summer Calling after receiving an interest from Ti&euml;sto and signing with Black Hole Recordings. This eventually lead to the production of Summer Calling (Josh Gabriel Remix), which was then promoted on Ti?sto's compilation album In Search Of Sunrise 3: Panama, to later be released as a 12-inch single with Summer Calling (Gabriel & Dresden remix). The following year saw the release of Andain's second single, Beautiful Things, which became a club hit and would define the band's breakthrough. Making its first appearance on Ti?sto's compilation album Nyana,?Beautiful Things (Gabriel & Dresden Unplugged Mix) was eventually released as the band's second single. With enthusiastic reception from the dance music scene, it has since become the band's signature track, yielding beyond a dozen remixes from Black Hole over the years. While the sound of Andain would appear to be promoted as club oriented, a batch of leaked demos, namely Time, Get Up, Make Me, Ave Maria and You Once Told Me would reveal a more variegated style of electronica with acoustic elements. And as the demos would denote, an album was planned and in the process of becoming, initially scheduled for a release in 2003. Meanwhile, Beautiful Things earned a nomination for Best Progressive / Trance under the Winter Music Conference 2004, with also Andain being nominated for Best New Dance Group. The year was also marked by a less prominent release from the band, with the track Here Is the House, a cover of Depeche Mode, presented on the compilation album Bloom by Gabriel & Dresden. With no further news on the status of the album, Andain was later announced to be working on new material. However, due to high demands from other projects, the group was announced to be temporary suspended in 2006. Andain would eventually reform in 2007 as Mavie and Josh, and the intent was set to create a new album. Two years later, an interview with Josh by Trance.nu would reveal the word of their next single, Promises, although, no word of a possible release date was mentioned at the time. Nevertheless, the word of Andain began to stir into motion again, further supported by the leak of a new demo, Turn Up The Sound. After four years in the making, Andain's new album was handed in to the label in early April, 2011. Subsequently, with Promises getting closer to an official release, the song was given support by some of the most recognized DJs within electronic dance music, being promoted with remixes by the likes of Gabriel & Dresden and M?on & Shane 54. Eventually, on June 1, 2011, the original version premi?red on YouTube with the official music video, while the single followed on June 6, 2011. As the second single from the upcoming album, Much Too Much was released on January 30, 2012, while the official music video followed on February 2, 2012. The single was later succeeded by a three track remix EP on February 27, 2012, and a standalone remix by Mike Shiver on April 23, 2012. With a third and last single scheduled for release before the album, Turn Up the Sound was selected to make an official release. The single made its debut as a three track remix EP on June 18, 2012, while the album version followed two weeks later, on July 2, 2012, along with additional remixes. Incidentally, the production of the song had been rewritten since its debut in 2009, with exception of the last part of the song, which preserved a revised section of the previous version. On August 10, 2012, the anticipated album was officially announced on Andain's facebook page. Titled You Once Told Me, the record has been set for a release on September 24, 2012 and will feature 11 tracks. Andain will also be touring in 2012, performing as Mavie and instrumentalist Shreddward Braillif, defining their performance with live sampling, drum kits, synthesizers, guitar, piano and bass to create their live sound.